Bill Cole, MS, MA is the Founder and President of the International Mental Game Coaching Association (IMGCA), an organization dedicated to advancing the research, development, professionalism, and growth of the discipline of mental game coaching worldwide. Created in January 2006, the IMGCA was the world's first mental game coaching membership organization. The IMGCA is comprised of individuals and institutions interested in the mental aspects of sports, movement and health and fitness. IMGCA members come from all walks of life, and have varied backgrounds in sports performance, coaching, teaching and consulting. 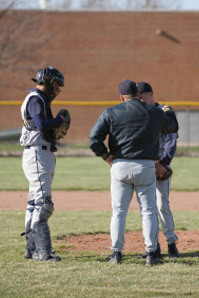 They are professionals, students, parents, and interested observers of the mental game. Learn more at the IMGCA website. Interested in the mental game? As an athlete? Student? Coach? Consultant? Teacher? Researcher? Psychotherapist? Sport Psychology consultant? Mind-body practitioner? Administrator? Sports Official? Media Member? Movement Specialist? Dancer? Dance instructor? NLP and hypnosis professional? Personal and professional coach? Chiropractor? Physician? Counselor? Psychologist? Health and Fitness Professional? Trainer in the martial arts? Learn about more than 20 benefits of membership in IMGCA, or sign up online at the IMGCA Membership page. The International Mental Game Coaching Association certifies qualified individuals at four levels as Certified Mental Game Practitioners. IMGCA courses of study include academic and fieldwork, written work and a final examination. Candidates who successfully complete certification receive 16 premium benefits as long as they maintain certification. They also are entitled to call themselves IMGCA Certified and display the IMGCA certification logo at their level of certification. IMGCA certification training programs are based on research, theory, academics and clinical experiences, but are 90% focused on real-world applications of this material. You actually learn how to be a mental game coach. Each session focuses on the everyday challenges of what you will experience in the field as you work with coaches, athletes and parents. The IMGCA is the worldwide leader in the field, with far-reaching breadth and depth of training and extensive customization. The international scope of the certification carries far more weight in the marketplace than local or regional training programs. Learn more, or sign up for Certification Training at the IMGCA Certification page. For an opportunity to learn about and participate in the Mental Game and Sports Psychology fields, find out about part-time internships at IMGCA.